Note: These instructions are only applicable to Outlook on a PC. Search for Mail in the top right corner, and click Mail (32-bit). 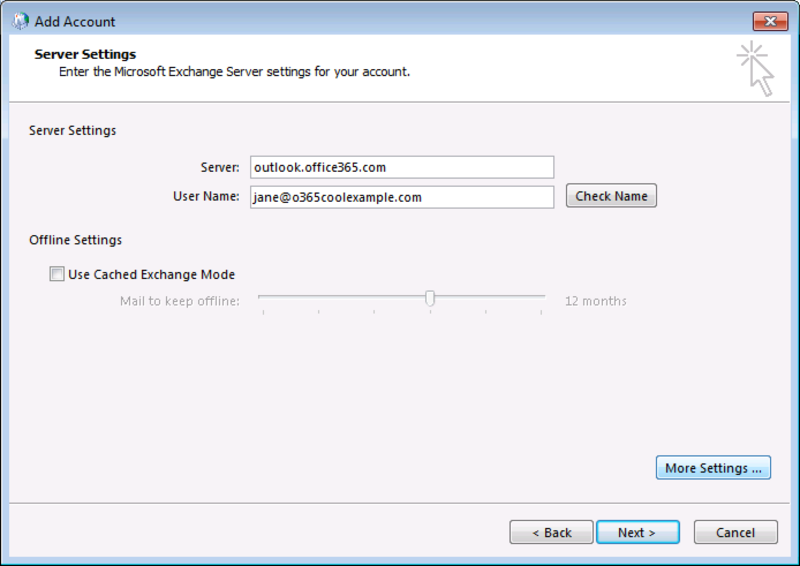 In Profile Name, enter whatever you want the new profile's name to be, and then click OK.
Use Cached Exchange Mode This is optional, if you want to keep mail accessible while Outlook is offline. 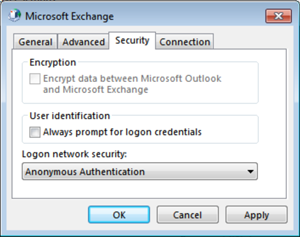 Warning: If you don't see Anonymous Authentication as an option, you may be using Outlook 2010, without the updated patch. Download and install the patch, and then try setting up your account, again. 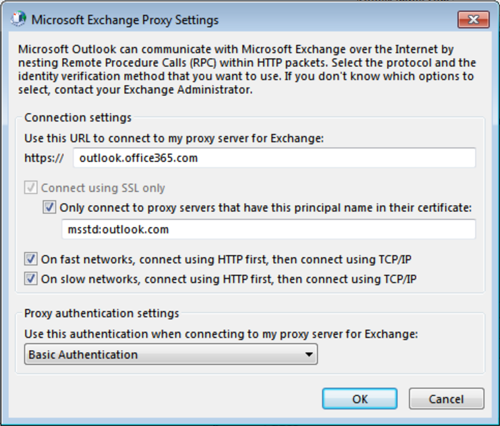 Use this URL to connect to my proxy server for Exchange: Type outlook.office365.com in the field. Connect using SSL only Select this option. On fast networks, connect using HTTP first, then connect using TCP/IP Select this option. On slow networks, connect using HTTP first, then connect using TCP/IP Select this option. 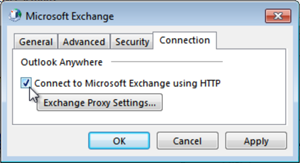 Use this authentication when connecting to my proxy server for Exchange Select Basic Authentication. 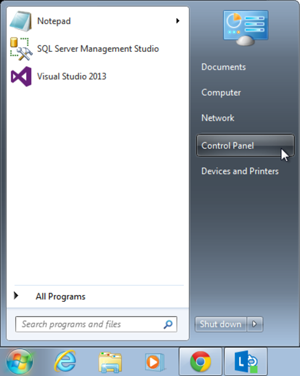 In the Microsoft Exchange window underneath, click OK, again. In the Add Account window underneath that, click Next. 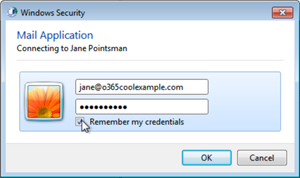 If you see a Windows Security window, enter your full Office 365 email address and password. Select Remember my credentials, and then click OK. 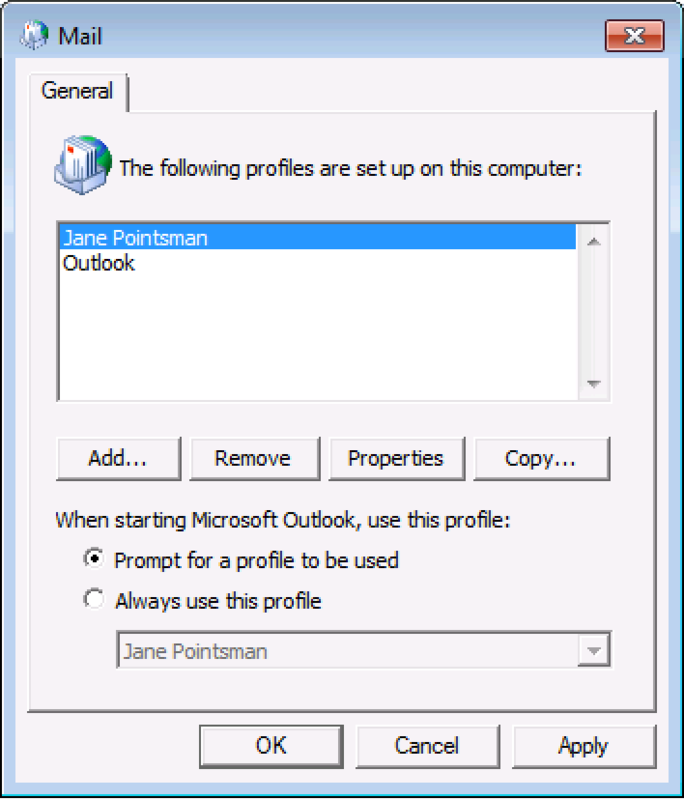 Prompt for a profile to be used Select this option if you want Outlook to ask you which profile to use, every time it starts. 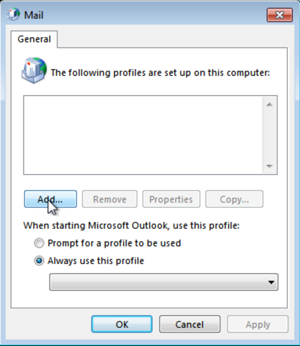 Always use this profile Select this option if you just want Outlook to always open with the selected profile. Be sure to select the profile you just created. 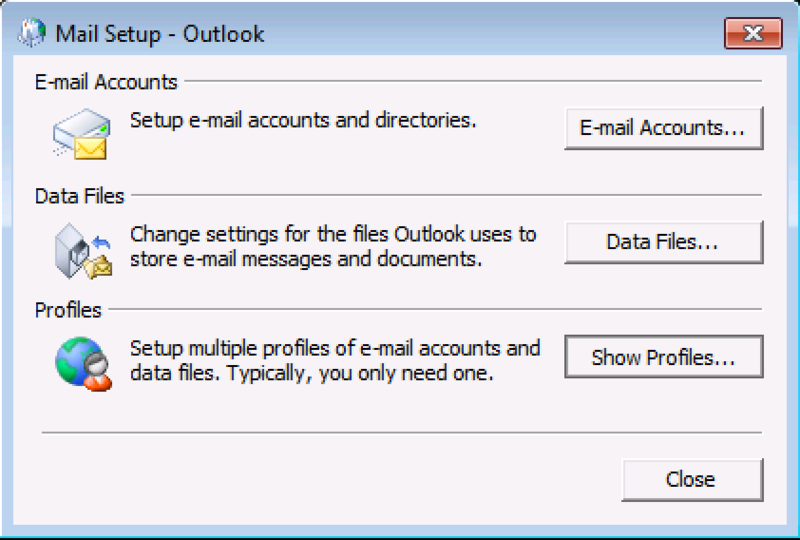 Read more about Outlook profiles. 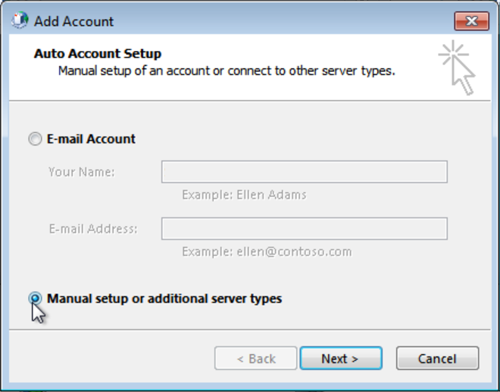 You now should be able to open Outlook and send and receive your Office 365 email. 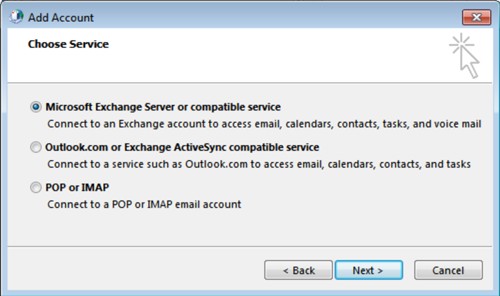 If you are still having trouble, check out Outlook: Troubleshooting.